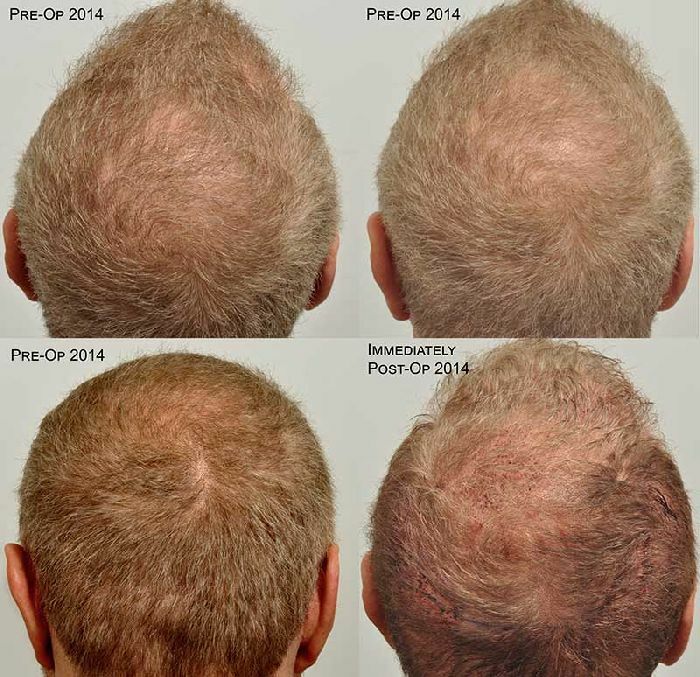 Photos in hair loss forums with the greatest impact are generally those that follow a patient’s progress from a Norwood 5 or 6 to the illusion of full coverage resulting from successful hair restoration surgery. Not all men with hair loss are willing to experience a high degree of loss before taking action. 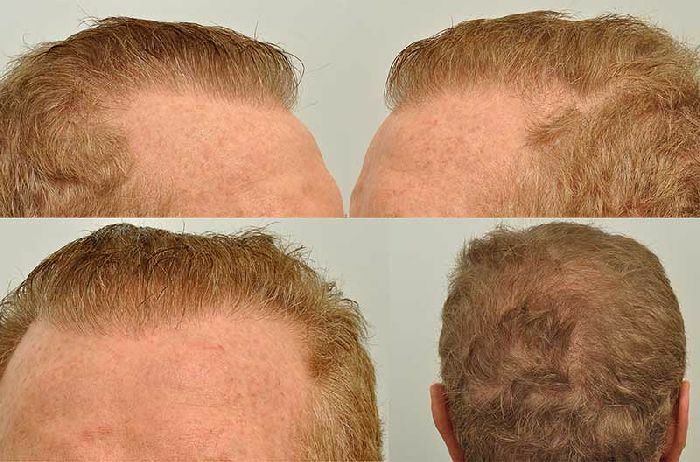 Our patient followed the excellent alternate strategy of regular FUE (CIT) procedures over the years with the goal in mind of maintaining the appearance of his hair. In other words, he didn’t want to experience pronounced thinning before taking action. Dr. Cole had the artistic eye, skill, and surgical procedure figured out decades ago. 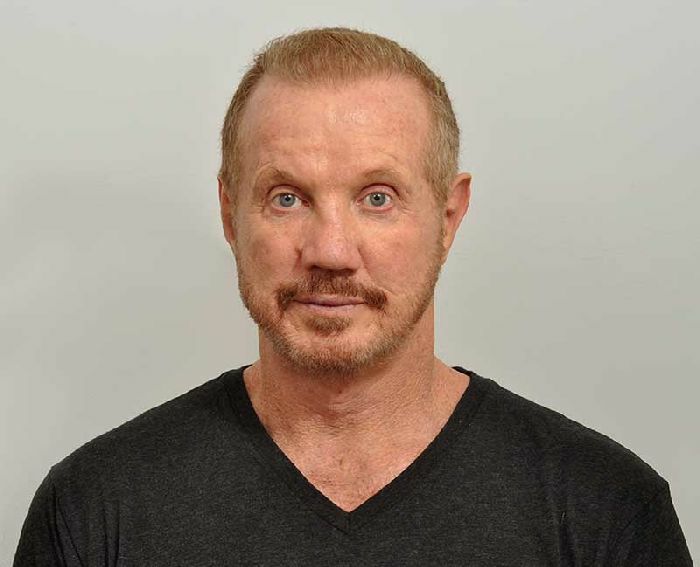 Dr. Cole produced natural appearing results during the time most other doctors were placing unacceptable and unnatural looking plugs and mini grafts. Our patient’s full-face photo represents Dr. Cole’s early strip work from 1996. He later returned in 2007 for 1,000 grafts by means of Dr. Cole’s early FIT patch procedure. 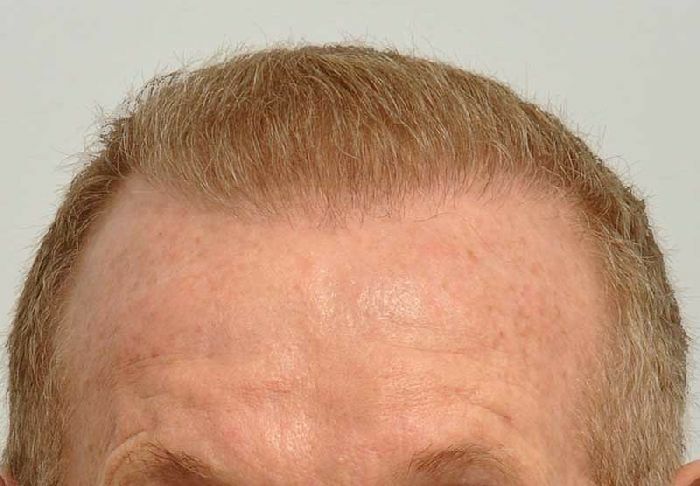 Last week our patient mentioned to me, the lady who has regularly cut his hair over the years could never tell he had work done, even upon close examination. 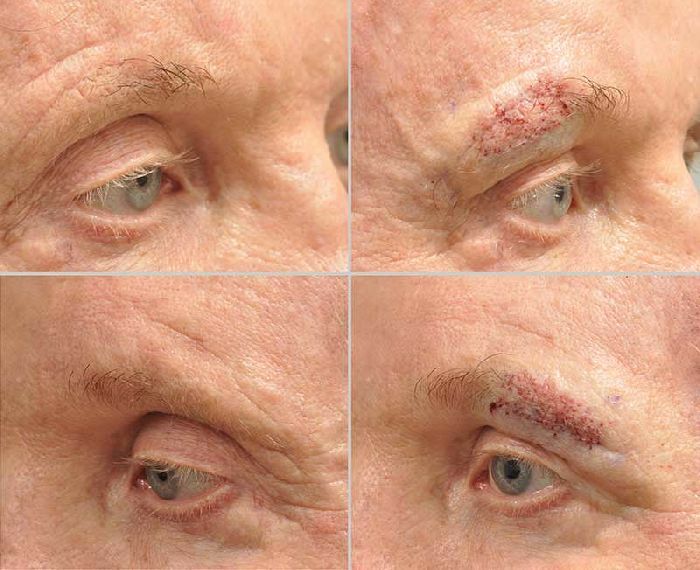 The strip scar from the 90’s was very thin and in 2007, Dr. Cole placed a small number of grafts into his scar. Our patient was back on 12-12-2014 for 1392 grafts. 731 were placed in the frontal area and 276 grafts were placed into his crown. He had 235 grafts placed to restore his temple points, and 150 grafts placed into thinning areas of his eyebrows. We commonly lose some eyebrow hair as we age. I included the 4x4 image of his crown to illustrate how the viewing angle affects the appearance of coverage and density. Our patient is over 6’ tall, so people rarely get a direct top down view of his crown.